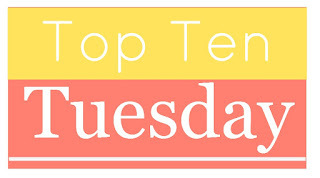 It's been a rough few days around my house and I think Top Ten Tuesday is just what the doctor ordered! The seasonal topics always generate my favorite lists. I'm excited to share the Books on My Fall TBR List and I'm excited to see your selections. If you want to join in (you do—it's fun! ), simply click on over to The Broke and the Bookish, check out the rules of the game, create your own TTT post, then click around the book blogosphere to discover fabulous new blogs and get great reading recommendations. 1. The Woman in Cabin 10 by Ruth Ware—I'm almost done with this psychological thriller, which is messing with my head in the best possible way. Like In a Dark, Dark Wood, Ware's debut, this one features a woman in an isolated locale who's trying to figure out what really happened one fateful night. It's twistier and altogether more intriguing than Ware's first novel. 2. 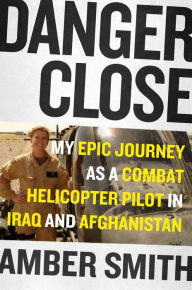 Danger Close by Amber Smith—I just received this one in the mail from the good folks over at Atria Books. It's a memoir by a combat helicopter pilot who just happens to hail from my teensy tiny hometown. I can't wait to read all about her adventures. 3. Blackbird Fly by Erin Entrada Kelly—I always like immigrant stories and because I lived in the Philippines for a year, the premise of this one really speaks to me. 4. 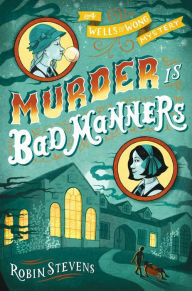 Murder is Bad Manners by Robin Stevens—This middle grade novel about two friends who form a detective agency to investigate the death of a teacher at their boarding school sounds fun. I wonder how it will compare to The Scandalous Sisterhood of Pickwillow Place by Julie Berry? 5. Goodbye Stranger by Rebecca Stead—I've never read anything by this award-winning author and her newest, a YA novel about friendship, sounds like an excellent place to start. 6. The Hired Girl by Laura Amy Schlitz—I've been wanting to read this middle grade historical about a Pennsylvania farm girl who takes a job in Baltimore in order to make a better life for herself for a while now. 7. Factory Girl by Josanne LaValley—This YA novel has a similar premise to that of #6. A 16-year-old girl from northern China who's forced to leave her home to work in a far-away factory learns how to survive—and thrive—in a foreign situation. 8. Beautiful Affliction by Lene Fogelberg—The author of this memoir sent me this book about her journey to find answers about a mysterious medical condition from which she was suffering. When she discovers what is happening, she's faced with an even bigger question: How much time does she have left? Sounds intriguing, no? 9. 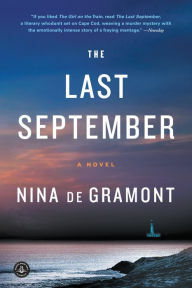 The Last September by Nina de Gramont—This murder mystery and family drama set on Cape Cod sounds compelling. 10. 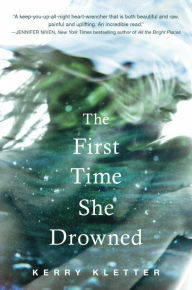 The First Time She Drowned by Kerry Kletter—An 18-year-old woman struggles to decide if she really wants a relationship with her mother, who forced her into a mental institution several years earlier. Sounds interesting. So, there you have it ... ten books I'm looking forward to reading sometime soon. What's on your list? Have you read any of the books on mine? What did you think? I'd love to hear your thoughts. Leave a comment on this post and I will happily return the favor. I want to check out The First Time She Drowned too. One of my fav Booktubers talked about it. It sounds so compelling, doesn't it? Right? It's the title that made me interested, but the premise sounds intriguing as well. 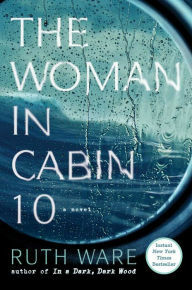 If you like psychological thrillers, you'll probably enjoy THE WOMAN IN CABIN 10. It's definitely rated R, but it's an engrossing read. I enjoyed The Hired Girl, and Murder is Bad Manners looks very cute; it's on my TBR list, too. I haven't read any of the others, but they all look good. Happy Reading! Oh, good, I'm glad THE HIRED GIRL is enjoyable. I like those kinds of stories, so I'm looking forward to reading it. Goodness! I haven't heard of any of these books or these authors. Murder is Bad Manners sounds like a lot of fun though. It does, doesn't it? Thanks for stopping by, Trisha! You're first and last books both look great. #9. Looks good too. I just finished #1. It was a good psychological thriller - definitely messed with my head! The author loves the F-bomb, but besides that, it was really good. I agree. It will be an interesting read. I just finished THE WOMAN IN CABIN 10 last night. It's a good mind-bender! I have The Woman in Cabin 10 on hold at the library. I am excited for it. The First Time She Drowned looks interesting. Great list! The hold list at my library was too long, so I decided to buy the book for myself! It was really good. Agreed! I really enjoyed it. Ha ha -- I'm constantly behind on reviews. I'll catch up ... someday! I'm in line for the audio of The Woman in Cabin 10 and I can't wait! I loved In a Dark Dark Wood. I need to check out The Last September and The Hired Girl as well. Great list! I liked IN A DARK DARK WOOD, but I enjoyed THE WOMAN IN CABIN 10 better. The latter is more complex, with more likable characters, and a twistier plot. I'll be interested to see what Ware does next! The Woman in Cabin 10 had definitely been on my radar and is fighting its way up my TBR. Glad to hear that you are enjoying it! Good luck with your Fall TBR! I didn't super love the ending, but I did really like THE WOMAN IN CABIN 10. It definitely kept me guessing! I saw The Woman in Cabin 10 at the bookstore over the summer and it looked intriguing. It had a full floor-length display but I'd never heard of that author! I enjoyed Goodbye Stranger very much, so well done, but then I've really become a big fan of Rebecca Stead the last few years! She writes brilliant MG.
Yeah, THE WOMAN IN CABIN 10 is the hit book of the moment. It's good -- definitely rated R, though (just to warn you). I haven't read anything by Stead, so I'm excited for GOODBYE STRANGER. The list at my library was too long. I didn't want to wait, so I went ahead and bought it. I'm interested in the Woman in Cabin 10. Can't wait to read your thoughts. I've read The Hired Girl and The Factory Girl and enjoyed them both.